At Family Vision Center, we understand that each patient is different and this is something value. That is why at our optometry clinic, we offer custom eyeglass fittings that allow us to property fit anyone. Whether you are looking for a pair of eye glasses for yourself or someone else, we offer quality frames in our fully stocked selection of frames in our optometry clinics in Stratford and Bridgeport . Our Stratford and Bridgeport locations offer a wide variety of designer frames. We carry the hottest brand names and fashion designers, and are sure we have one that you’ll love. Frames are available for men, women, and children in plastic or metal. In addition to daily wear eye glasses frames, we also have a selection of sunglasses frames and specialty frames designed for water sports and protective wear for contact sports. 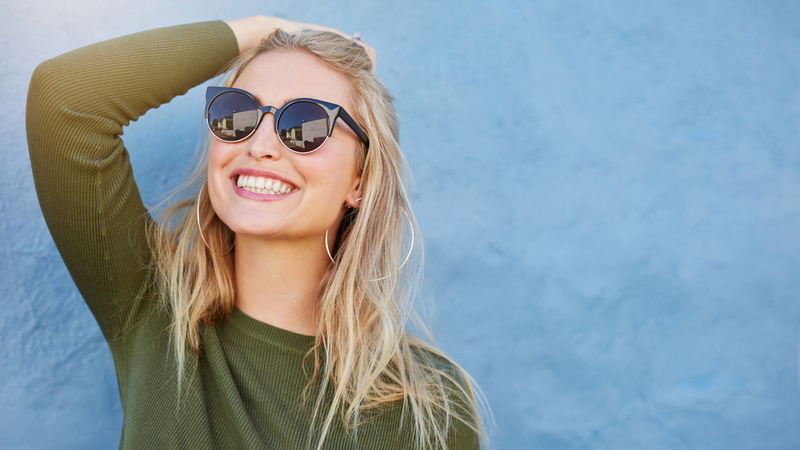 We understand selecting glasses frames for another person might seem like a difficult task, but our expert opticians can help you with an idea of the individual's personal style. It is also a good idea to bring a photograph in when selecting frames, as certain frame shapes tend to complement particular face shapes. Our experienced opticians will help you pick out the right eyeglasses for your needs. They will use the measurements taken to ensure the eyeglasses fit your face perfectly, so that there is no discomfort. Temple length, frame width, and nosepads are just some of the things we look at when fitting a frame. The lifestyle of a patient is also important, as some patients require a more durable frame than others. Our optical department will take the extra time necessary to ensure that the glasses you pick are a good match for you and your needs. We offer free adjustments on our frames if they are uncomfortable at any time. Family Vision Center is also proud to be one of the only private practices in Connecticut to offer a full service lab – in both of our locations. This allows us to provide quick and efficient service to our patients. Remember to schedule your family's annual eye exams to update corrective lens prescriptions and screen for common eye diseases. We provide comprehensive eye exams and an optical department. To schedule an appointment with an optometrist in Stratford and Bridgeport or for assistance with purchasing glasses frames, contact us at 203-333-2020 (Bridgeport) or 203-377-2020 (Stratford). We look forward to seeing you.